Meet Your Neighbor Richard Liby who lives in Biggsville. Richard is now retired but before his retirement he was employed at Excel Fire Protection for 14 years as their comptroller; at Coors Distributing Company for 12 years as a 3.2 sales representative. Coors was the first brewery owned distributorship. It is now Coors-Miller Brewing Company after the merger this summer; and for 10 years at Edison Brothers Stores Incorporated. He was born in Burlington, Iowa, and raised in Galesburg where he graduated from Galesburg High School in 1961. He then spent two years at the University of Arizona and the Front Range Community College in Colorado. During his 20 years in the Lions he recently completed 20 hours at Schaumburg studied O.H.C. (Occupational Hearing Conservationist). He will be driving a bus to different locations to do hearing testing. This is sponsored by the Lions of Illinois Foundation. Positions for the Lions of Illinois Foundation is three quarters volunteer and one quarter paid. Richard has a daughter, Alisa (Gilbert) who live in Denver, Colorado and a son, Chad who also lives in Denver; a daughter, Amy (Mike) that live in Wendtsville, Missouri. He is the proud grandfather of Jeremy, Marlee, Cameron and Sage. His father and mother, Gaylord and Gertrude Liby are deceased. A brother, William, and a sister, Sandra are deceased. Two other brothers, Robert and Jack live in Galesburg and Oquawka respectively. Two years ago he moved from Fruita, Colorado, (located on the Western slope) a suburb of Grand Junction to Biggsville. 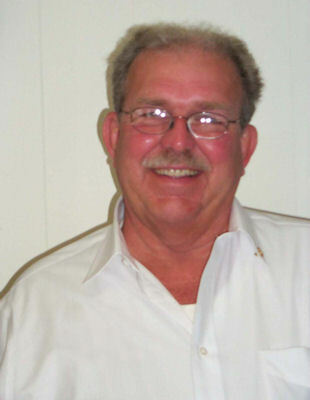 Richard is presently treasurer and past president of the Biggsville Lions Club. In 2005-2006 he was District Governor of West Colorado which he said he loved. During the period he attended the Lions International Convention in Hong Kong along with 26,000 lions from around the world. At that time he was sworn in as District governor. Richard also volunteers as an ambulance driver, is a member of the Biggsville American Legion, and a member of the Genealogical and Family History Society of which he is treasurer. He likes to fish but spends most of his time loving to serve his community.